Could RFID technology solve T5's baggage woes? 'A bag tagged is a bag never lost', or is it? 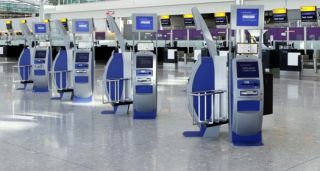 As Heathrow’s Terminal 5 (T5) begins to recover from the traumas of its opening week when IT problems and a lack of staff training led to approximately 700 flight cancellations and the loss of over 20,000 items of luggage, some industry analysts are questioning whether RFID technology could help avoid similar catastrophes. According to a major report into baggage handling undertaken by the aviation industry’s leading baggage tracking and IT supplier, SITA, the global aviation industry now handles up to 2.25 billion pieces of checked-in luggage every year. SITA admits that of these 2.25 billion items some 42.3 million go missing or are mishandled. Violante believes that RFID technology “has a role to play” in this and could even help the industry to save “£700 million” if it was “fully implemented” across the industry. Of course, it all very well exchanging the current system of using barcodes for one that uses RFID tags, but what happens when someone accidentally puts the wrong RFID tag on the wrong piece of luggage? The bag is still going to get lost, of course. Perhaps a better way to ensure checked-in bags end up on the right plane and in the right country at the right time would be to afford the airport staff and baggage handlers dealing with them, a higher degree of training, and/or to introduce more checks into the system. "RFID hasn't been trialled on any systems large enough to equate with baggage handling on a global scale. Barcoding is being used and it works," the spokesman said.